Here we introduce tethered capsule endomicroscopy, which involves swallowing an optomechanically engineered pill that captures cross-sectional microscopic images of the gut wall at 30 m (lateral) 7 m (axial) resolution as it travels through the digestive tract. Results in human subjects show that this technique rapidly provides three-dimensional, microstructural images of the upper gastrointestinal tract in a simple and painless procedure, opening up new opportunities for screening for internal diseases. 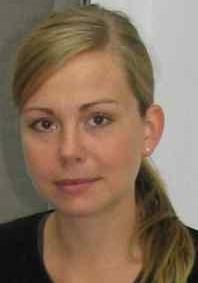 Michalina Gora is a tenure researcher at the French National Center for Scientific Research (CNRS). She is leading a research group in the ICube Laboratory in Strasbourg focused on combining optical methods with robotics for comprehensive diagnosis and improved minimally invasive treatment of diseases. Her group is currently working on the integration of optical coherence tomography into a robotized flexible endoscope to improve colorectal cancer management. She graduated from the Nicolaus Copernicus University in Poland, in 2010. Subsequently, she was a postdoctoral researcher and later a junior faculty in the team of Prof. Guillermo Tearney at the Wellman Center for Photomedicine, Massachusetts General Hospital and Harvard Medical School in Boston.